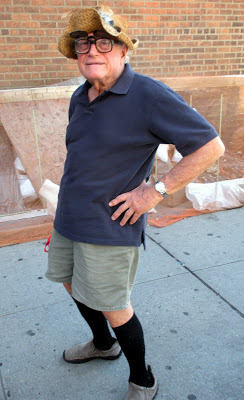 This guy was a great model and his outfit is exactly what we strive to capture here on Advanced Style. His unique hat and flip-up shades add unpredictable character to the otherwise classic look. When I inquired about his straw hat he told me that everybody loved it and that he bought it in Colorado several years ago. He is both comfortable and confident in his style, a comfort that often comes with maturity. 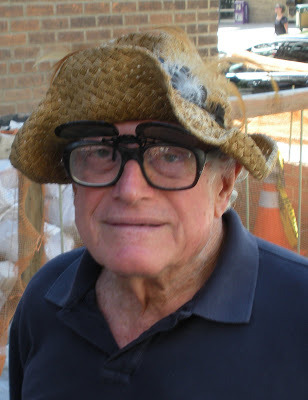 See below for a closer view of his hat and glasses.